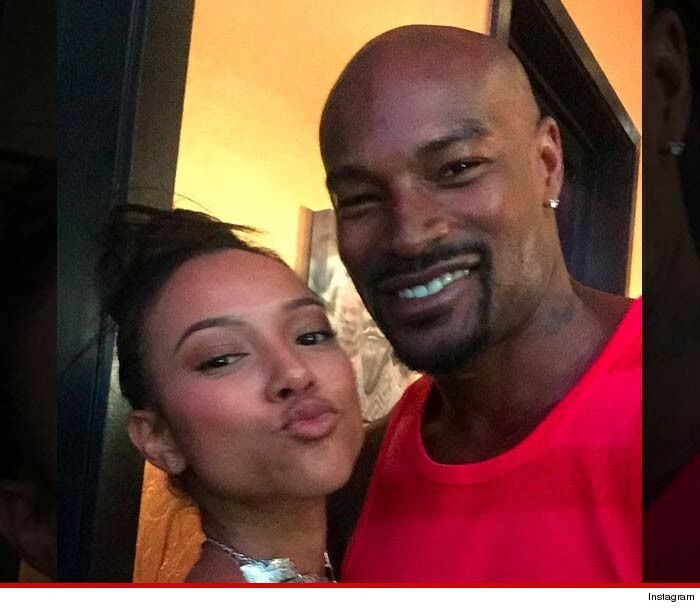 Chris Brown had a meltdown Sunday after Tyson Beckford dared to post a pic of himself with Karrueche Tran, but Tyson made it clear, he's not scared one bit. It started Sunday when Chris saw the pic, then posted a flurry of tweets, saying among other things, "U wanna keep walking them runways. I need ta legs for that. Keep playing like I ain't wit the bulls***." Chris deleted the tweets, but Tyson fired back, seemingly impervious to the threats, saying, "It's all about fun in Vegas, come thru papa." Tyson then posted video of himself shooting at a gun range, saying, "Just in case your forgot!" But Chris wasn't done. Late Sunday night, Chris posted a pic of Vegas cops behind a building, saying, "This n**** Tyson got the whole Vegas PD out here. Suckah! This fruitz!" Chris has been making a play to get Karrueche ever since she found out he had a child by another woman. Don't know whether this helps or hurts Chris' chances.